When you choose Family Danz for all of your home comfort needs, you’re choosing a heating and cooling company you can trust, time and time again, no matter what your needs may be. That’s because at Family Danz, we believe in treating our customers just like family – something we’ve pledged to do since opening our doors more than 30 years ago. In fact, we’re so dedicated to the satisfaction of our customers that we’ve based our company mission statement on it. At Family Danz Heating & Air Conditioning, we pledge to be honest and helpful to all of our customers. We will always look out for your best interest and provide exceptional products and services of the highest value, to ensure expected comfort and safety. We do this in a manner that no other company can provide. We promise that you, the customer, after purchasing our products and services, will be 100 percent satisfied. Because of this level of dedication to our customers, we’re pleased to have an A+ rating with the Better Business Bureau. What’s more, at Family Danz we believe that being courteous to our customers should be a given. When you call us, our knowledgeable staff will answer any questions you may have accurately and politely, schedule appointments according to your needs and attend to emergencies promptly. And we won’t stop until you’re completely happy with our work. We at Family Danz Heating and Air Conditioning pledge to be honest and helpful to all of our customers. We will always look out for your best interest and provide exceptional products and services of the highest quality to ensure expected comfort and safety. We will do this in a manner that no other company can provide. 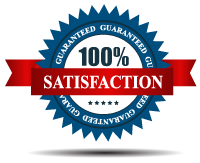 We promise that you, the customer, after purchasing our products and/or services will be 100% satisfied. They completely explained the type of furnace that was going to be installed. Thanks to Ben for fixing my furnace and restoring my heat today! He was so professional and polite; I could not have been happier – even the charge was reasonable! Thanks so much, Family Danz. ~Donna O. Thanks Family Danz for a great service call. Your technician Sean’s vast expertise was immediately obvious as he diagnosed our system. Sean was also very articulate in explaining options to our landlord in a language we could all understand and was nothing short of an absolute pleasure to deal with. We will highly recommend your services to anyone who asks. ~Jeff D.
Great service, competitive costs, friendly service people and office staff. ~Kathy C.
Thanks, guys, for getting my heat working so fast this morning! I really appreciate it, and so do my kids. You rock! ~Pete S.
When you need a dependable, reliable home comfort company that’s dedicated to its customers, choose Family Danz. Call us today atand discover what it means to receive an exceptional level of service. What makes a Bryant Factory Authorized Dealer stand out from the crowd? The expert performance and attention to detail they offer to all of their customers. From reliable service to technical proficiency, Family Danz Heating & Cooling is pleased to offer our customers the expertise that goes along with being a Bryant Factory Authorized Dealer. As a Bryant Factory Authorized Dealer, you can also trust us to be certified by North American Technical Excellence, or NATE. This is the leading certification program for technicians in the heating, ventilation and air conditioning field, and the only test supported by the entire industry. And, because we’re a Bryant Factory Authorized Dealer, we always repair your equipment using Factory Authorized Parts, so the best quality and efficiency of your heating or cooling system is guaranteed. When you choose us, you’ll know that the Bryant Factory Authorized Dealer symbol means we’ve met Bryant’s highest standards for superior skills, service and a promise of 100 percent satisfaction guaranteed. Reliable products, dealers who care – Family Danz does whatever it takes to keep you and your family comfortable.